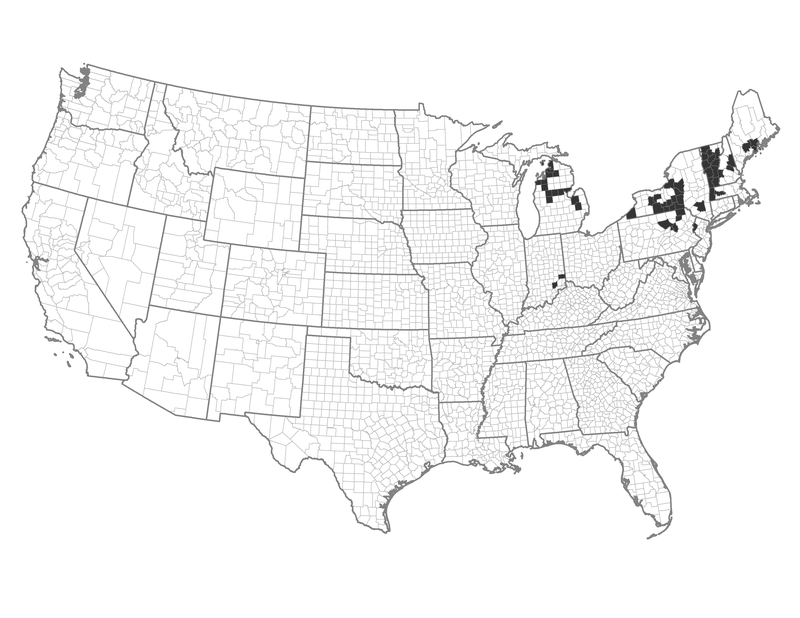 These counties occur within the Fire Regime Group V in the northeastern region of the United States, mostly in Michigan, upstate New York, Vermont, New Hampshire, Massachusetts, Pennsylvania and Maine. These areas have a large amount of Wildland Urban Interface (WUI) area and higher ignitions. Example of a Typical County — Chittenden County, Vermont: Chittenden County includes the town of Burlington and lies west of Lake Champlain. Most ignitions are human caused. There is a low risk of large wildfires.